We all know how devastating an outbreak of fire could be at our business, but could never imagine it would actually happen. Everything is possible and there are certain steps you can put in place to protect your business should this ever happen. There is nothing like good preparation always. 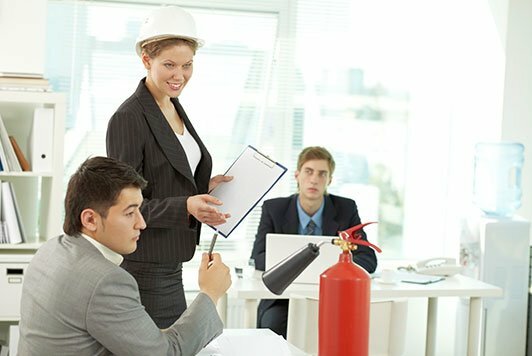 Implementing initial and refresher fire training ensures that your employees are prepared in the event of a fire and know what actions to take so that safety remains a top priority in your business. Also, if you do frequent drills and review procedures this means employees will familiarise themselves with the fire safety equipment and feel confident when using it. Reliable fire alarms are extremely important in alerting employees of danger and therefore saving lives. The alarms should be located in the correct places and the right type depending on the building. Additionally, fire extinguishers should be in place, ready to tackle a blaze. These should be placed in the correct areas such as corridors, stairways, and landings, so they are highly visible to those following an escape route. If you need any advice in putting your fire safety procedure in place, please contact us at 029-71288.